This year, you are my Galentine. Why? Your positive female role models, who are smart, strong, compassionate women that work tirelessly to make the world a better place. 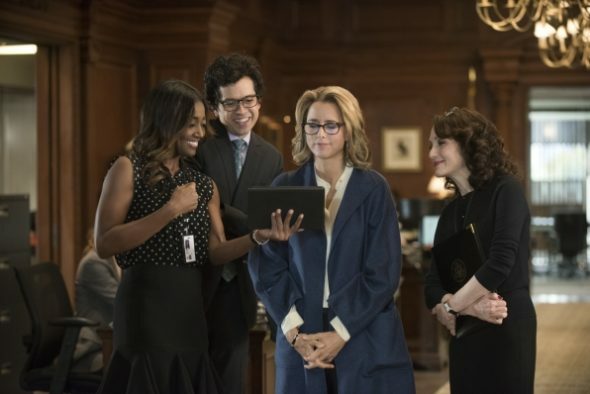 Thank you for portraying females who support one another, like Secretary of State Elizabeth McCord and her chief of staff, Nadine Tolliver. Despite a history with the previous Secretary, Nadine and Elizabeth came to respect and trust each other. They cultivated a strong working relationship based on their shared mission and friendship. Thank you for portraying females who respect each other, even when they disagree, like McCord and her press coordinator, Daisy Grant. As they grow into mutual respect and friendship, there are several moments where Daisy’s advice on maintaining image contradicts what Elizabeth feels is right. Even in these disagreements, Elizabeth acknowledges Daisy’s opinion, takes it into consideration, and lets Daisy know why she may not agree with it. Best of all, Daisy respects Elizabeth’s decisions and supports her wholeheartedly, even when it is hard. Thank you for portraying females who welcome friends from all walks of life. They include Russians (whose country is frequently at odds), LGBTQIA+ individuals (love you, Blake! ), and even old straight white men. In a real world of conflict over whether we can all get along, it is heartening to see the characters embrace people of all walks of life, respecting them and embracing them for their unique contributions to society — even when they disagree. Finally, thank you for portraying people who prove that purpose is far more satisfying than the amount of power or wealth it gives you. No matter her status or feelings, Elizabeth puts her purpose first and cultivates a team dedicated to it. They want to make the world a better place. And in being all these things, they inspire me to be that, too.